Nigerian music diva, Tiwa Savage was in the news last week when she revealed that the man is supposed to be the head of the home no matter what. Her comment trailed a lot of criticism and kicked off a trend on social media where several stakeholders argued and weighed in on whether the man or the woman should be the head of the house. Apparently, Tiwa Savage and her husband, TeeeBillz seem to be working hard on getting their marriage back and it appears thaof success with that. 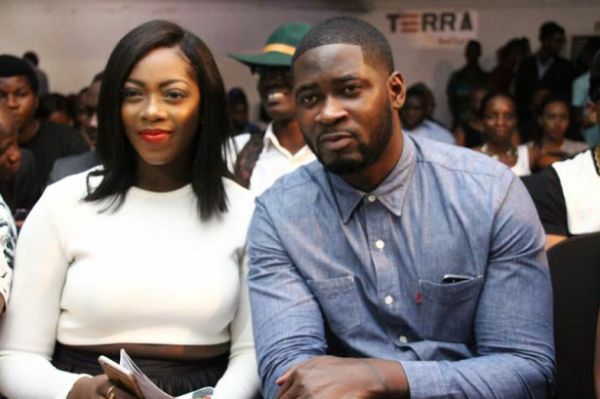 We came across a new video showing TeeBillz going on stage to support his wife at the AFRIMMA awards which held in Texas, U.S.A while she performed. An excited Tiwa gave him a warm hug in excitement.